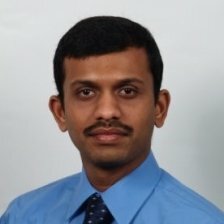 Naveen is his current role heads the engineering team of Future transportation department VANS in Mercedes Benz Research Division North America. Future Transportation was started about 3.5 years back and since its inception has been credited with several innovative projects like CoROS , Vans and Drones , Slider to name a few. Some of his focus areas are IoT, Machine learning and Edge Computing. Before joining Mercedes Naveen has contributed in developing products in Consumers electronics, Networking and semiconductor industries.